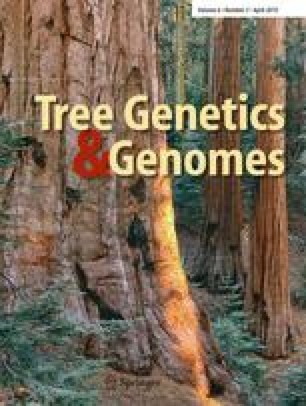 TreeSNPs is a laboratory information management system with a user-friendly Web interface for the gathering and display of data generated through medium- to large-scale single nucleotide polymorphism (SNP) identification by resequencing, in the context of whole genome association, outlier detection, quantitative trait locus, and genetic mapping studies. Its multi-gene approach allows the tracking of all the steps from candidate gene classification and prioritization to SNP discovery. The system, source code, and documentation are available for download at http://treesnps-pub.arborea.ulaval.ca:3000/download. An online demo version can also be accessed from the above link. This project was supported by the Canadian Wood Fibre Centre, the Canadian Biotechnology Strategy-Genomics Fund, Genome Canada, and Genome Québec. The authors thank the many end-users of the Arborea project for their useful comments in designing a comprehensive and usable interface, Jean-Philippe Dionne (Arborea) for designing the secure connection process, and Jérôme Laroche (Centre de bioinformatique et de biologie computationnelle de l'Université Laval) for his helpful comments on the manuscript. The authors are also grateful to the anonymous reviewers for their comments which helped improve the final manuscript. The authors declare that they have no conflict of interest.